This guide demonstrates a potential implementation of Deeploop to run outbound campaigns on cold leads. Engage your leads in 1-to-1 conversations instead of spamming them with mass-mails. Autonomously engage, follow-up and qualify a list of cold leads. First, ask if they are the right person to talk to (and if not ask for a referral). Then, ask for their main pain points. Below is an example of what a conversation with a lead would look like. Subject: John, Are you the right person to talk to at ABC Corp? Deeploop is a sales & marketing AI assistant that brings automation and systemization to your lead qualification processes. It engages with your leads by email, follows up autonomously, answers their questions and ultimately hands them over to your human reps when they are qualified. Your AI assistant communicates with your leads in 1-to-1 conversations. Live Dashboard shows live where in the funnel are your leads, what they asked, what is their status etc. Would you be the right person to discuss Deeploop at ABC Corp? I hope all is well. I just wanted to follow up on my previous message. Would you be the right person to discuss how AI could help ABC Corp? Just wanted to make sure my message doesn't fall through the cracks. Could you point me toward the right interlocutor to discuss Deeploop? I'm the person you should talk to! I apologize, I'm swamped this week. Deeploop seems interesting, I'd like to know more. What's the pricing like? Deeploop handles the whole writing of the follow-up campaigns. The AI engine dynamically tries several possible strategies (different timings, follow-up messages...) and finds the optimal strategies to get positive replies from the lead. One way to see that is as a massive A/B testings (but with dozens of different campaigns). 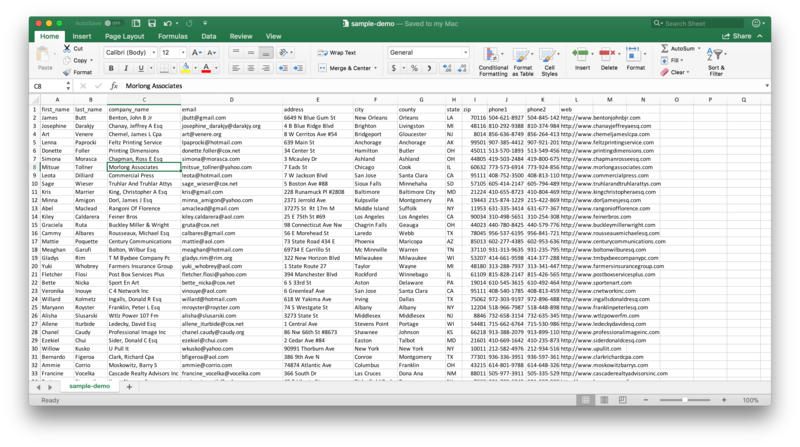 Email events are tracked (openings, link clicks etc.) and integrated in the strategy. For instance, a lead opening twice an email in a row will instantanously receive a follow-up message. Deeploop is in norm with the new GDPR regulation. I.d. Already having a tool for Engagement? Are you already using a tool for your cold outreach (Sendgrid, Outreach.io, Salesloft, PersistIQ)? 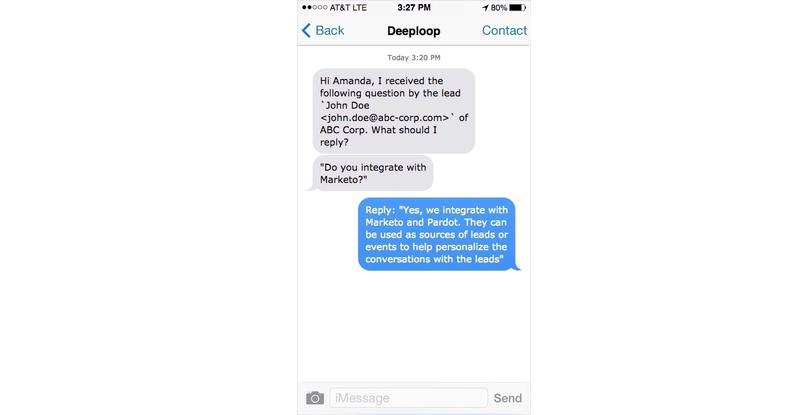 Having your previous campaigns already setup on those tools, Deeploop can connect with them and take over the conversation when the lead replies! (see next - Section II). Our pricing starts at $45 per month and is performance-driven. You only get charged for the leads that engage positively in the conversation. We also offer a 1-month free trial. You can find more information here. Deeploop can be used for a variety of use-cases: engage & qualify inbound leads, talk to stale leads in CRM/Salesforce, autonomously run outbound campaigns, activate customer after a signup & answer their questions, nurture leads etc. The setup allows for a lot of flexibility so could you let me know what are your current pain points at ABC Corp? Do you integrate with Marketo? Perfect, Deeploop can help with all of that! Finally allow your reps to spend their on only truly qualified leads!